The HBP develops and operates tools and services for modeling, simulation and data analytics for neuroscience, medical research, neuromorphic computing and neurorobotics. These tools and services have been offered to the scientific community since March 2016 and are regularly updated and extended. In a next step of integration these services are combined into the HBP Joint Platform, which is the incarnation of a modern information and communication technology (ICT) based research infrastructure (RI). 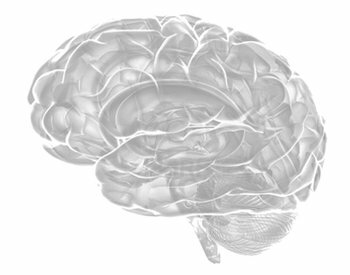 The HBP Joint Platform (HBP-JP) is meant for everyone with an interest in neuroscience and its application to technology (researchers, industrial engineers and developers, students) to get access to and use the latest results, tools, software, hardware architectures, simulation environments and solutions that the HBP offers. (ii) Collaboration: The HBP-JP encourages community co-working, e.g., one engineer working with one neuroscientist over the web in the “Collaboratory”, which is the “meeting room” for different users from different disciplines with different aims and goals, collaborating in a project. (vi) Future and Emerging Technologies: The HBP-JP enables access to and gives support for using latest technological developments in neuromorphic computers, neuroroboters and coming modular exascale supercomputers. With the HBP-JP, the HBP opens the door for neuroscience towards a modern information and communication technology based research and technology development infrastructure. The HLST will provide a tangible interface to the HBP-JP for internal and external users of the HBP. Neurorobotics simulation and development tools across the whole workflow the of neurorobotics life cycle, including, e.g., body, brain and sensor modelers, robot and environment designers, behavior generators, virtual commissioning environments. High-performance computing kernels and libraries specific for high-end brain simulations that run efficiently on emerging Exascale computing systems, as well as all necessary programming environments and performance tools. A worldwide unique neuromorphic computing hardware infrastructure offering access to learning and development timescales from milliseconds to years and providing a development system for generic cognitive computing.